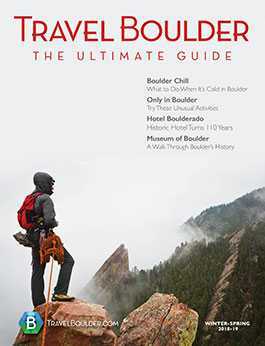 Boulderites are known to walk to a different drumbeat. 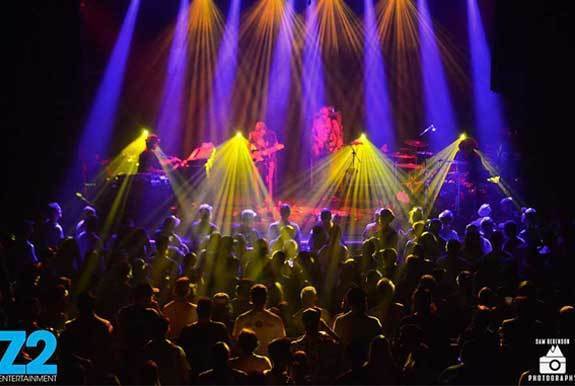 And that pulse takes the form of great live tunes, famous performance venues, world-famous bands, a high-caliber music school and an overall thriving music scene. Boulder is creative. 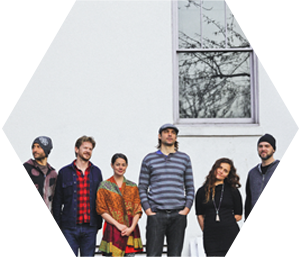 Some local musicians say they’re inspired by the city’s natural majesty. 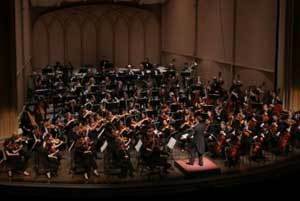 Other people are drawn here to soak up the community’s offerings, found everywhere from big stages to tiny coffee houses, from classical music to Billboard-topping artists, from loud festivals to the private studios of instrument-makers. Let the music of Boulder move you. Here’s the Ultimate Guide to enjoying music in Boulder. You don’t have to drive to Denver to hear the big-name musicians. 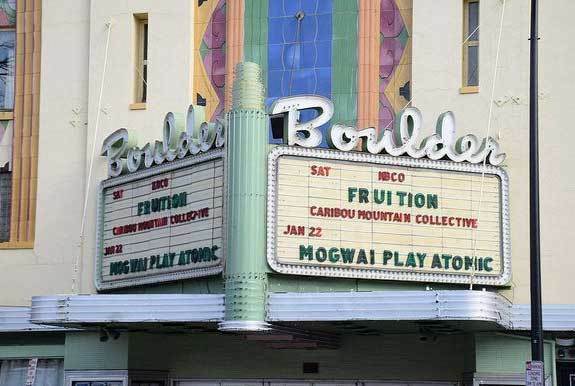 Boulder is home to several famous concert venues that attract bands, from chart-toppers to shining up-and-coming acts. If you’re looking for a great show on a world-class stage, here’s a look at Boulder’s top large music venues. To hear the best music, you don’t necessarily have to wrestle the crowds in the biggest venue. Sometimes, those hidden gem musicians take the stage on smaller, lesser-hyped stages. 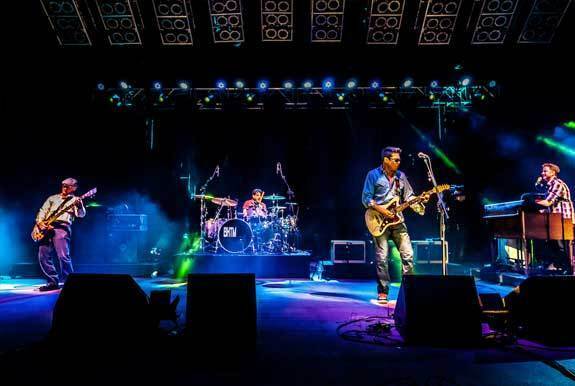 If you’re in Boulder looking for some live music to liven up your evening, no need to look much further than some of the local coffee shops, restaurants and bars. You can find some high-caliber performers on these smaller stages. Bonus: Many don’t even ask a cover. 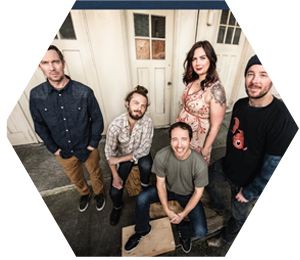 The band behind these musical memories, Big Head Todd and the Monsters, got its start in Boulder, when the musicians were students at the University of Colorado in Boulder. 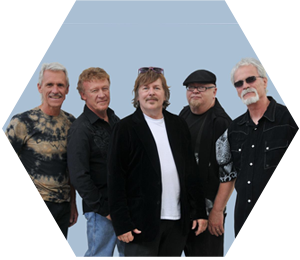 More than three decades later, the original members are still playing together. While Boulder’s music venues alone can fill your calendar with concerts, sometimes you want to listen to music outside, festival style. 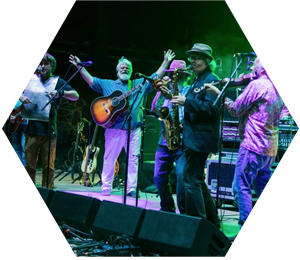 Boulder itself has some amazing festivals that include live music, but there are many bigger, music-centric gatherings beyond city limits, just a short drive away. 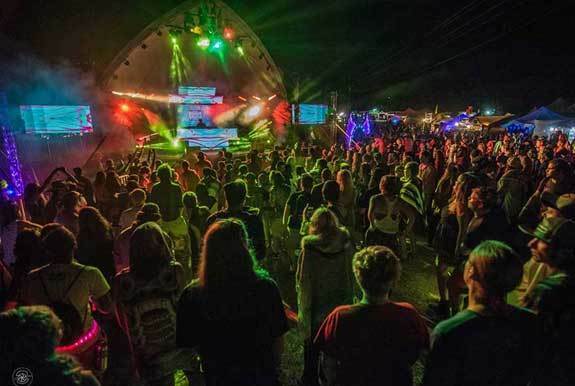 From rock to bluegrass to world music showcases, here are some music festivals near Boulder that you don’t want to miss. 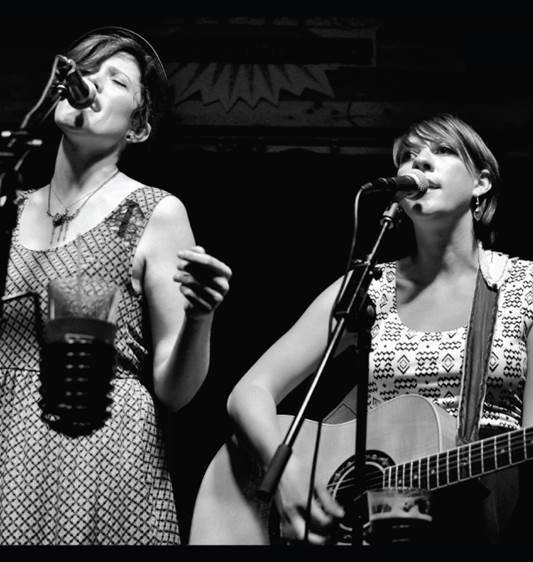 Here’s a night-by-night guide to the best places to check out for some local songsmith flavor. How has Boulder influenced your music? “The vast beauty of Boulder County has certainly provided much inspiration, not only for our music but for our lyrical content. There’s nothing like the Rockies and the Flatirons. They can simultaneously make you feel small yet connected to something larger. That feeling alone has contributed to the music to a great degree. Many songs have been birthed on the banks within the Boulder canyons, cut deep from wind and water. Historical geologic manifestations right before our eyes, for our eyes and minds to feast upon. Live music is great. The Colorado outdoors are great. Put them together and it’s even better. On many summer evenings, the Pearl Street Mall transforms into an outdoor stage, and so do many of Boulder County’s parks. 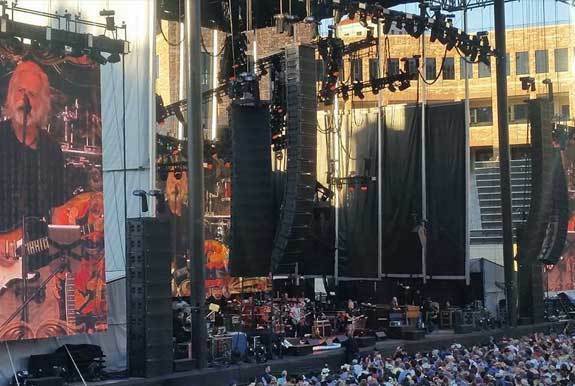 Even Folsom Field on the University of Colorado campus hosts musicians on occasion (like the recent Dead & Company show). 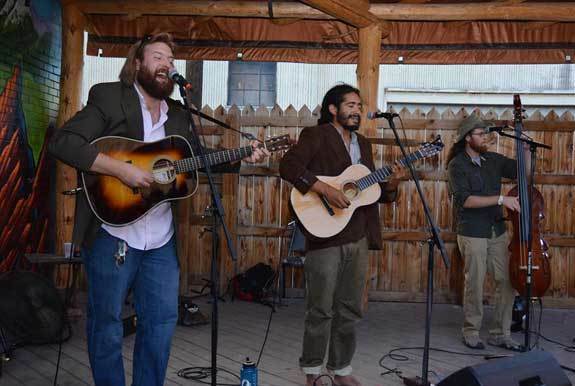 Boulder’s food truck park, the Rayback Collective, also regularly brings live music to its indoor-outdoor space. Boulder’s small bandshell in Central Park is often alive with music. 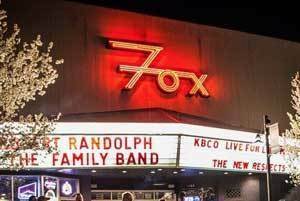 Before you even walk inside, it’s clear the Boulder Theater has a unique story. From the Pearl Street Mall, this pastel art deco landmark leaps out from the side of a rock facade. It’s a Colorado Historic Landmark. By night, its large marquee glows brightly in red, white and blue. It’s where things are happening in Boulder. 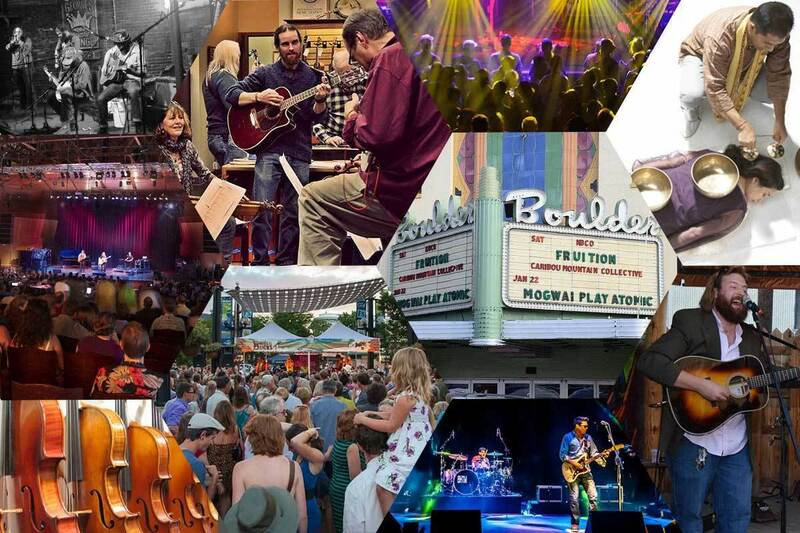 During its 75-plus years, the Boulder Theater has seen some huge name musicians, such as Bonnie Raitt and Leftover Salmon, as well as all kinds of performances — pole dancing, tribute shows, stand-up comedy, film festivals, you name it. Its ideal location right in downtown makes it a hotspot for visitors and locals alike, and an appealing destination for performers who want a stage with quick access to the Colorado mountains and one of the most vacation-y walking malls in the world. 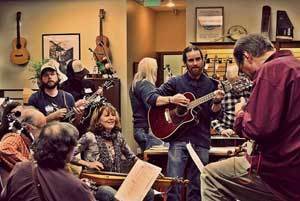 Here is a peek at some of the best music stores in Boulder County, plus some tips on how to get the most out of them from the pros themselves. 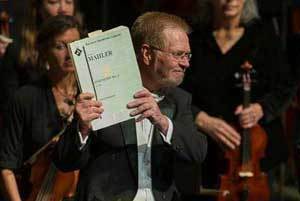 Here are 11 ways you can enjoy Boulder’s classical music scene. Here is a look at just some of the ways you can use the University of Colorado to fill your musical needs. The Fox Theater makes legends. And the Boulder venue is a legend itself. Studies abound on the health benefits of music and how it can promote wellness. It can be used as therapy, to reduce stress and can even improve the functioning of the immune system. One study found it was actually more effective than prescription drugs to reduce anxiety before surgery. As one of the healthiest communities in the country, Boulder gets this. That’s why when Boulderites listen to music, it’s not just for fun. Much local live music has a secondary purpose. This is a stage like no other. It has interesting roots — and plenty of uses other than to host live music, too. 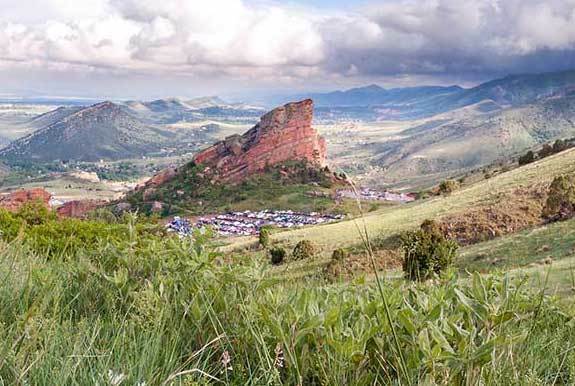 Here’s a closer look at the famous Red Rocks Amphitheatre near Morrison, not far from Boulder. Red Rocks is a dramatic rock structure that is the only naturally occurring, acoustically perfect amphitheater on the planet.